WXPN moved into new offices and state-of-the-art studios in 2004. These new facilities not only act as the base of operations for WXPN's local programming, they also serve as the home studio for the station's nationally syndicated daily show World Cafe, which features exclusive interviews and live performances from established and emerging artists. Whereas, in the past, WXPN and World Cafe were forced to operate out of cramped and limited studio space, they now enjoy modern studios with plenty of broadcast and production options. In addition to housing the station, a restaurant and live music venue that is open to the public, called World Cafe Live, is also part of the complex. 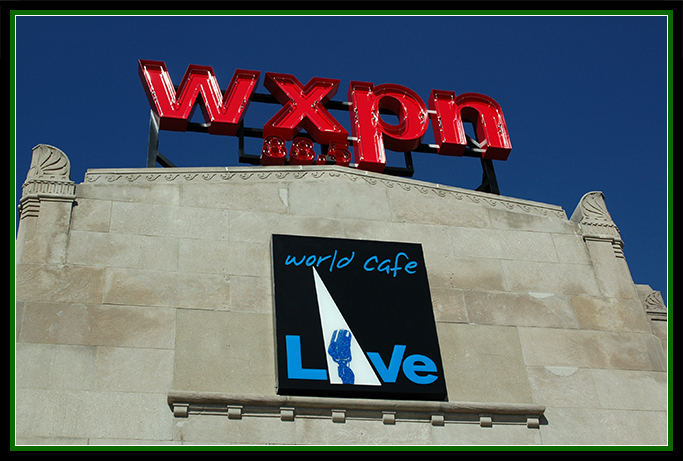 World Cafe Live presents a variety of live music, much of which resonates with WXPN members and listeners, in two (upstairs and downstairs) spaces. There are several interesting aspects to this unique business partnership between a non-profit public radio station and a for-profit private entity. WXPN can often utilize the venue for its needs, such as for the annual NON-COMMvention (held at WXPN after migrating from WFPK/Louisville Public Media), and its Kids Corner Music Festivals, for example. WXPN’s popular free, weekly Free At Noon concert broadcasts also take place there. The renovation of an empty historic building near the University of Pennsylvania campus was conceived with these ideas in mind, so that the facility serves as a community gathering place, giving WXPN a more concrete presence in the City of Brotherly Love. 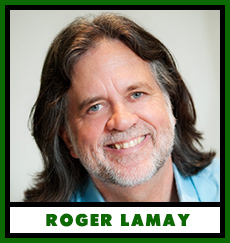 WXPN GM Roger LaMay said, “I had been GM at WXPN for almost two years, but this had been in the works for close to seven years. It really came out of the aspiration and the belief that WXPN was one of Philadelphia's leading cultural institutions. Hal Real was an early supporting member of the station, and he came forth with the idea that if WXPN really wanted to fulfill its potential as a cultural institution for the city, it really needed an actual physical place that people could come to and experience. "To add to the experience, he had the idea of this restaurant and club that would share the facility and would help to take the World Cafe brand and expand upon it. First off, it made sense because WXPN needed a new facility desperately. We had outgrown where we were, and we needed a big enough place where the actual station and the all of the office functions could be together. We also needed to bring our studios and the equipment into the 21st century." "Second, we liked the idea that a new facility could offer tremendous growth options for both WXPN and World Cafe. If we wanted to take advantage of any new opportunities, we needed the room to be able to realize them." 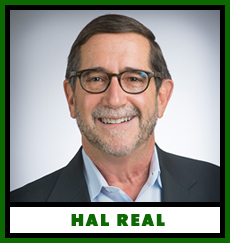 The other partner in the endeavor, Hal Real said, “I knew the station desperately needed new studios and offices, and I knew I wanted to create a new venue that offered live music for grownups. Plus, I knew my unique combination of real estate law and entrepreneurial experience could help them in securing a new home as well as a new way to represent themselves to the public. "That's when I went to them and made my proposal. They were intrigued with the vision I had from the beginning and I think they have appreciated that I remained a driving force over the years until we finally were able to actually pull this thing off." But getting the concept off the ground wasn’t easy. LaMay said it was a complicated deal to put together: getting the university onboard; finding a developer for the renovation of the building; and then WXPN and Real Entertainment coming up with the money to outfit the building to their needs. WXPN ultimately took a leap of faith and advanced some money to start the construction. That ended up being the catalyst to finally get all the contracts signed. The station ultimately raised $4 million for their share of the effort. "I think it is a remarkable opportunity for us to interact with the public and help further our commitment to making WXPN a true cultural institution in the city. In this day and age, there really aren't many radio stations you can go to and see anything except their reception area." While still PD at WFPK/Louisville, Dan Reed came up with the idea of creating a convention that focused more on the needs and aspirations of the public radio station within the Triple A community. With the approval of Gerry Weston – the then President of Public Radio Partnership - the NON-COMMvention was born. For its first three years, the NON-COMMvention was held at Public Radio Partnership’s (later named Louisville Public Media) building. But when Dan Reed moved on to the OM and MD role at WXPN, he and GM Roger LaMay were able to work things out to bring the event to Philadelphia and hold it at the new WXPN studios and its adjacent live music venue, World Cafe Live. The event, held each May, is now gearing up for its 18th year. The format of the gathering remains mostly the same: panels and sessions take place during the day, and evening showcases feature established acts as well as new artists looking for the chance to perform their music in front of industry programmers and decision makers. The NON-COMMvention has become so popular, it also draws some attendees from the commercial side of the format. Organizer Dan Reed said, “It was actually an attempt to get all of the noncomm stations together to discuss the special challenges and opportunities that we all shared on the left side of the dial and hear some cool music. We felt we weren’t getting everything we needed from the big Triple A convention in Boulder. "Since then, it’s gotten bigger. More competitive. Harder to book. More moving parts. But it’s more fun every year. I think the items we are discussing are much different today than what we discussed in the early days." Some of those topics include funding. Engaging younger generations. Staying relevant in the face of all those entertainment choices out there. The need to strive to make radio a primary destination again. Artists already announced to perform at the 2018 NON-COMMvention May 15-18 include Brandi Carlile, The Record Company, Nathaniel Rateliff & the Night Sweats, Angelique Kujou, Mt. Joy, Courtney Barnett and Jade Bird, among others. The NON-commversation will be with Steve Ralbovsky of Canvasback Music.